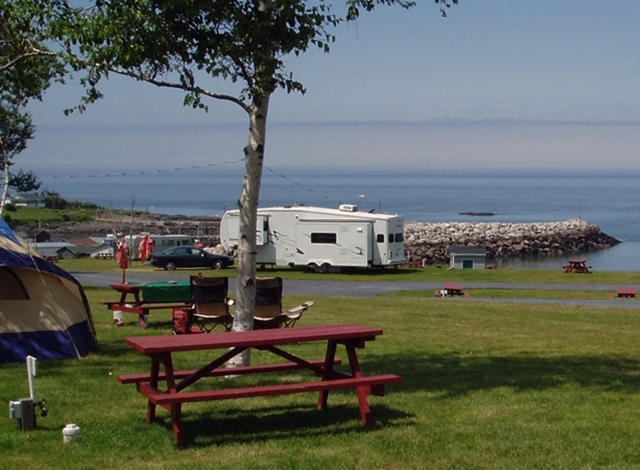 Site #61 is a Premium Water View full-service campsite, with sloping views overlooking the Bay of Fundy. 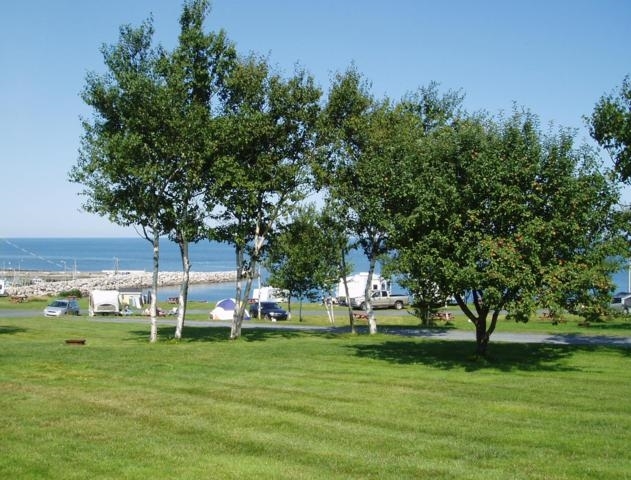 This large, level grassy site will accommodate one camping unit of any size, and is located within a short distance of the playground, washrooms, laundry, rec hall and heated pool. The site is equipped with certified drinking water, 30 amp power supply, sewer, picnic table and fire ring. My wife and I thouroughly enjoyed our stay (5 days) at the “Cove”. First impressions count and we were very pleased with our greeting and the help offered by the office staff. The view of the Bay of Fundy is FANTASTIC! 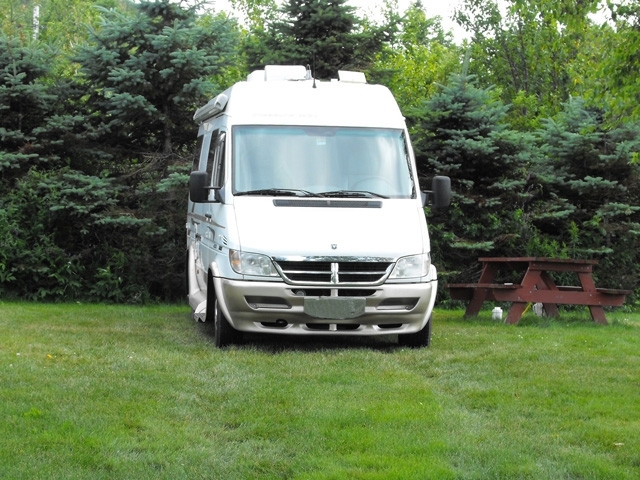 The campground is immaculate, as were the showers and washrooms. We were also very pleased to see the staff making their rounds making sure all was well and in order. It certainly is our intention to return to the Cove Oceanfront Campground.